Could your cat be hiding the bubonic plague? The same “black plague that once killed 60% of all europe is found in yet another cat. While the word “plague” conjures images of epidemics wiping out medieval communities in their entirety, the bacterial infection actually occurs naturally in wild rodents (and their fleas) in the western U.S. and rarely affects people, according to local health officials. The cat, named Kaycee, was “known to wander outdoors,” representatives with the Wyoming Department of Health (WDH) said on Jan. 4. Kaycee’s roaming habits likely exposed it to an animal that was already infected with the plague-causing bacterium Yersinia pestis, which is typically transmitted between animals through flea bites, according to the Centers for disease control and prevention (CDC). Humans can becomeinfected through contact with sick animals or through bites from infected fleas, Dr. Alexia Harrist, state health officer and state epidemiologist with WDH, said in the statement. Now that a third infected cat has been identified, Wyoming officials are taking steps to make sure that people stay safe, according to Harrist. The Yersinia bacterium is transmitted to cats when an infected flea bites them, or when they ingest an infected rodent. 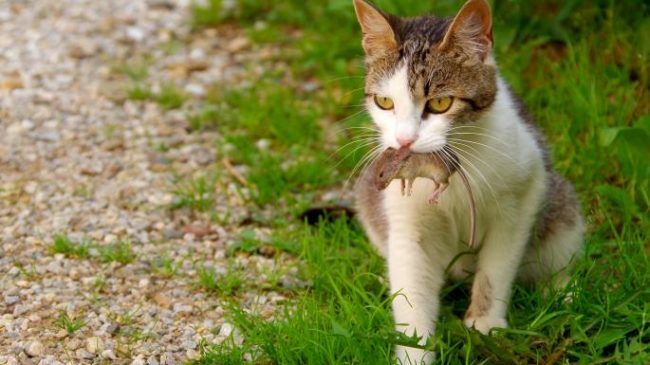 It is more common for a cat to become infected after eating a rodent than it is for the cat to acquire this disease through a fleabite. Another possible cause for exposure could come from the animal’s environment. If the home is heavily infested with fleas, or if the homeowner resides near a wildlife habitat, where the animal is exposed to rodents, this could put the animal at a higher risk of contracting the plague. Garbage, woodpiles, and food sources can also be outlets for transmission of this disease.